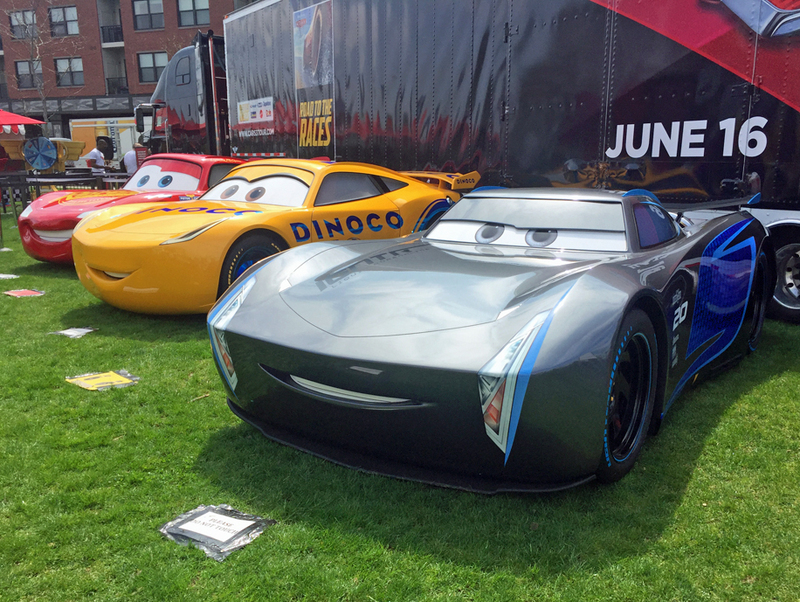 Disney Pixar takes over Somerville Massachusetts as the CARS 3 ROAD TO THE RACES TOUR races in! The Road to the Races tour arrives at Assembly Row in Somerville today April 28th for 3 days only and is free and open to the public. The Somerville stop will be the one and only location in New England for fans to experience the tour. Since this is the only stop be prepared to wait in line. There are limited amount of ‘Race Lane’ tickets available at each stop allowing guests to skip the lines for priority entry. Sign up for your chance to download one now. 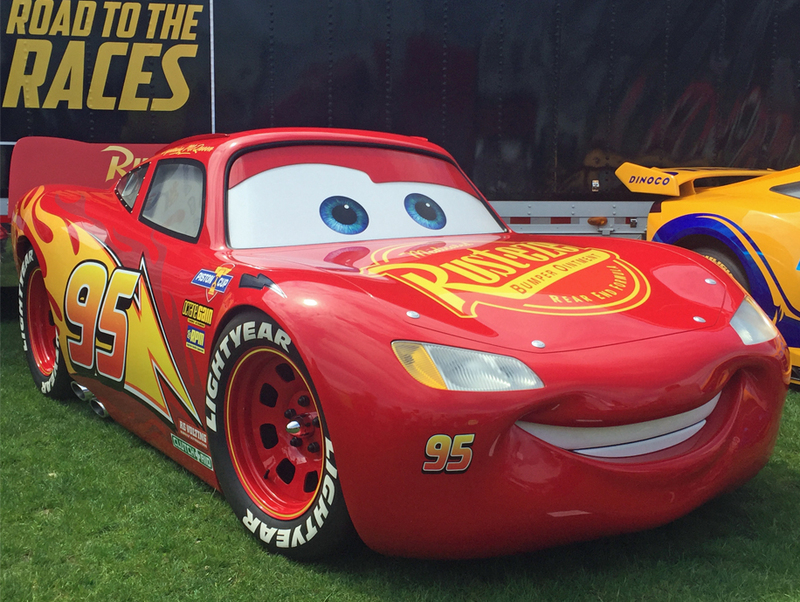 Take pictures with the life-size character cars; Piston Cup Champion Lightning McQueen, tech-savvy Cruz Ramierz and the sleek next-gen racer Jackson Storm. 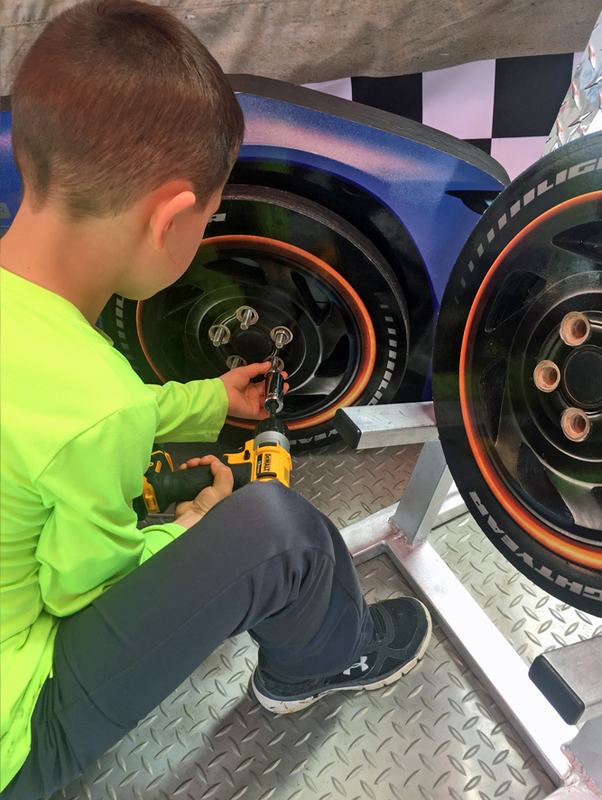 Take part in a tire-changing activity. 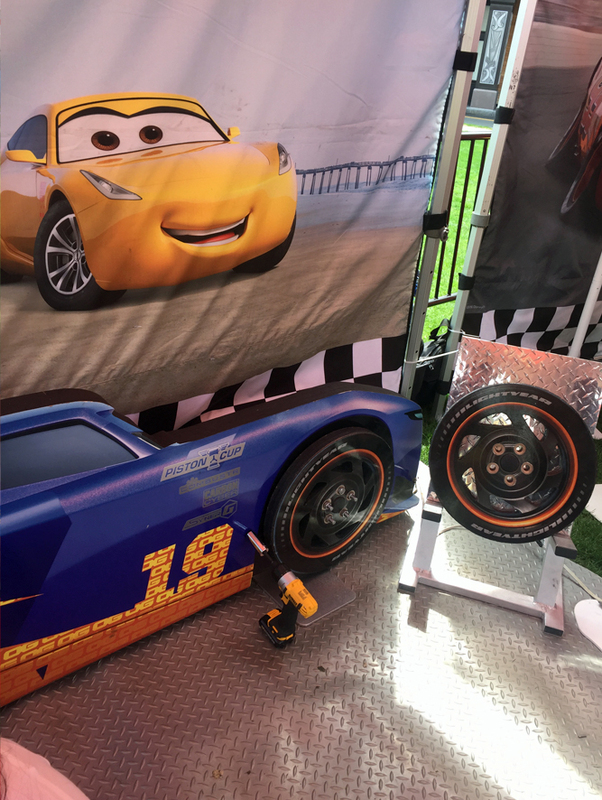 Send Lightning McQueen and other racers down the gravity drop in the interactive play area. 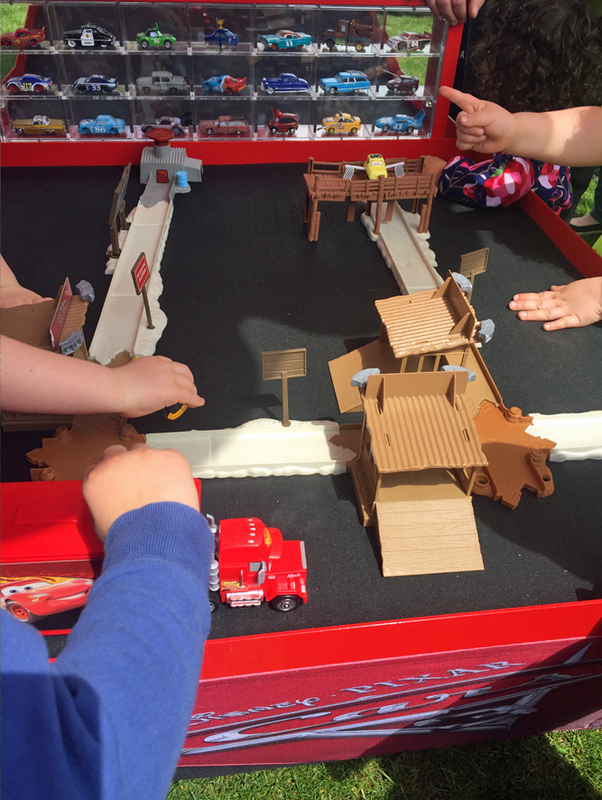 There are also new play sets that feature locations from the movie and die-cast cars on display from past and present Cars movies. 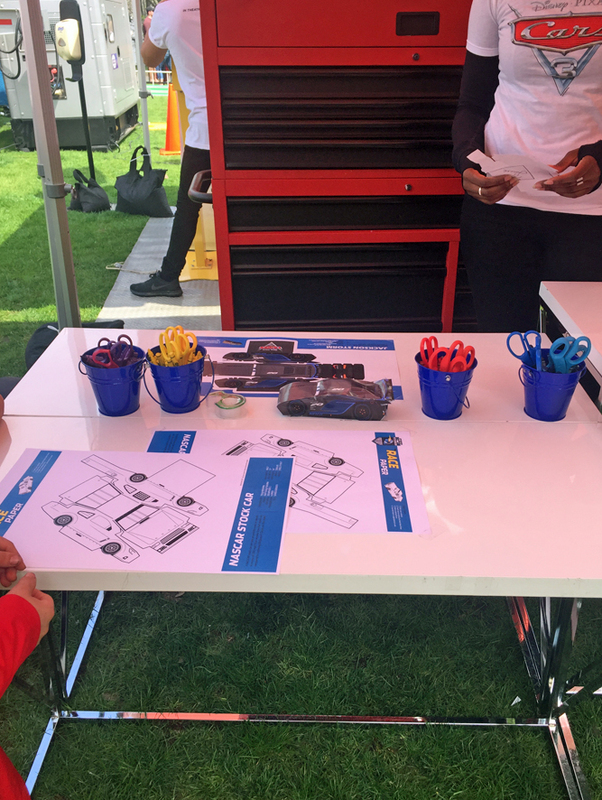 Kids will also have the opportunity to create their own paper model of their favorite Cars 3 character or color their own car. 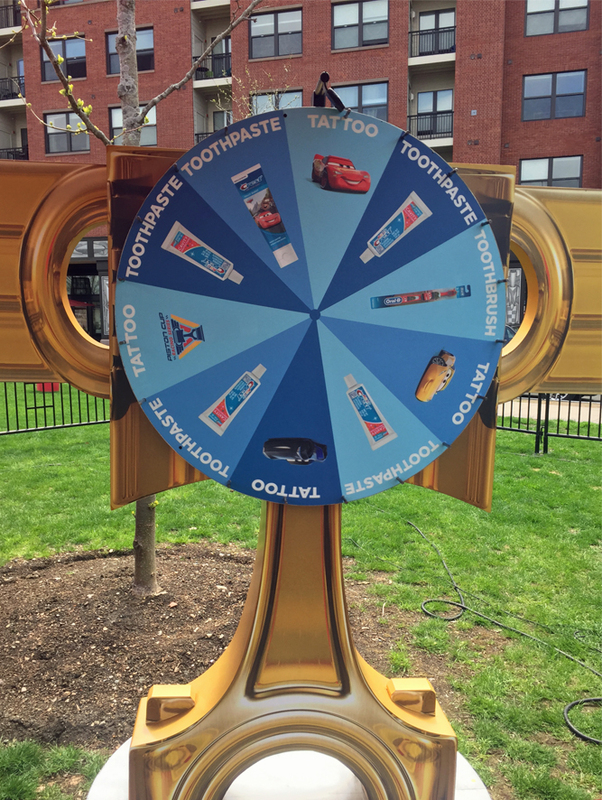 Crest and Oral-B celebrate the Road to the Races tour by providing fans with an opportunity to create a digital postcard with Lightning McQueen and spin the Piston Cup prize wheel to win “Cars”-themed oral care prizes. My kids were lucky to walk away with a full size toothpaste which they were very excited about. Fuel up and recharge your batteries by sampling high-octane fruit and vegetable smoothies. 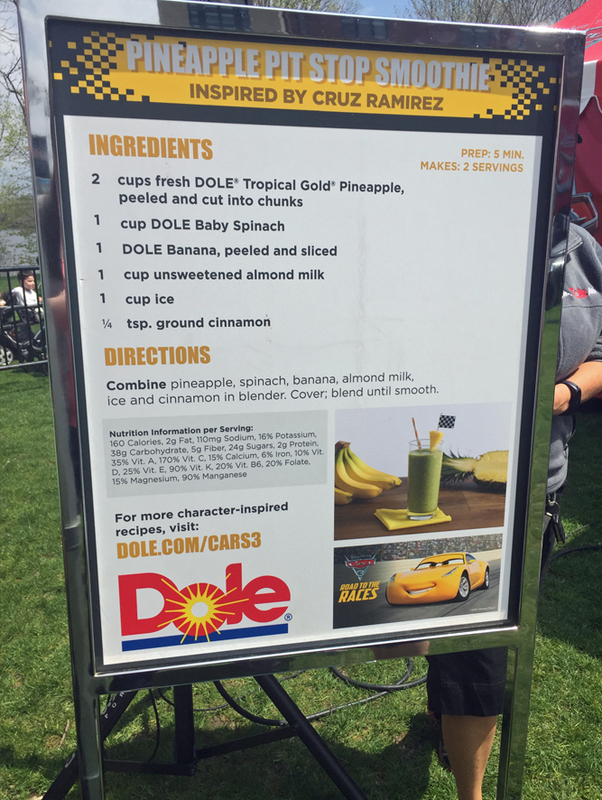 Dole and Disney have teamed up to show how to make healthy living fun and easy for families. We’re looking forward to re-creating the Pineapple Pit Stop Smoothie at home. My kids loved it and best of all they had no clue there was spinach in it! 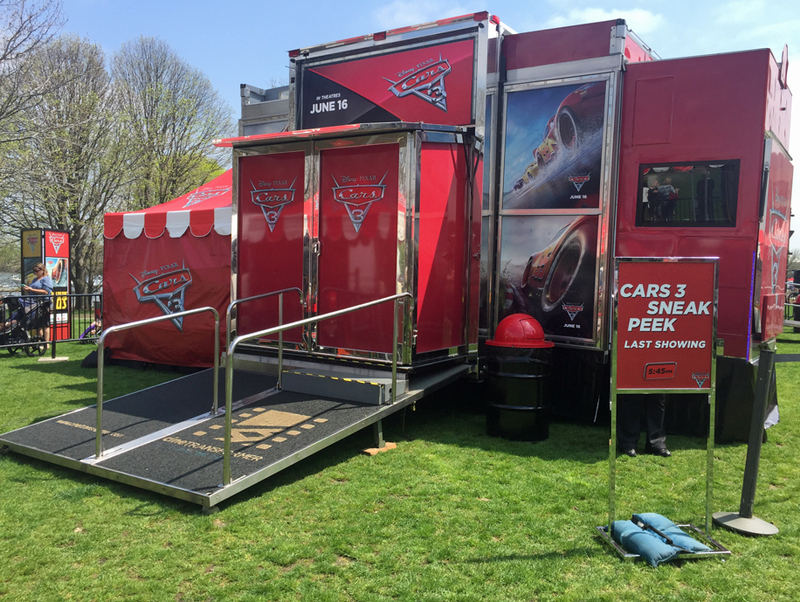 Before you leave, make sure to stop by and catch a sneak peak of the new Cars 3 movie!